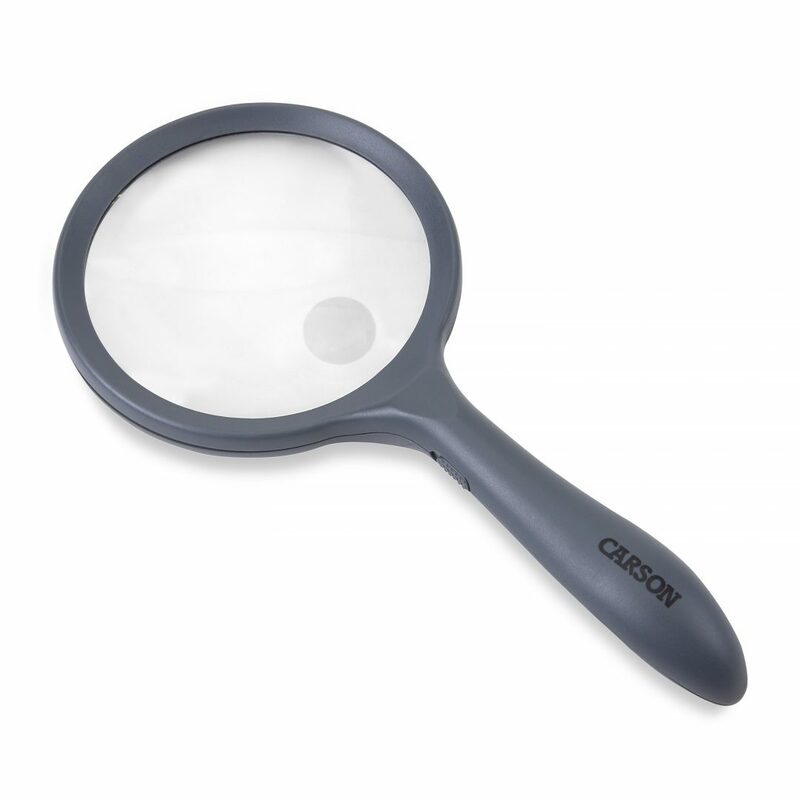 The Lighted HandHeld magnifier has a 2x crystal clear acrylic lens with a 4x spot lens. Its LED lights ensure a bright, clear view. It is ideal for needlework, arts & crafts, viewing stamps and coins. The HM-44 is perfect for reading fine print.